Hedge trimming is really important for maintaining the great appearance of the house exterior. In order to make sure the garden is taken proper care of, you’d better entrust professionals who know how to handle any complicated gardening task. 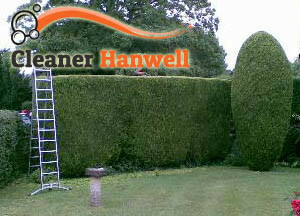 We offer professional hedge trimming services for the area of Hanwell and the neighbouring areas and you are welcome to get in touch with us and get familiar with the service itself and the discounts you might get as a loyal customer. Entrusting professionals means you will get your money worth as the service will be carried out in accordance with all requirements. 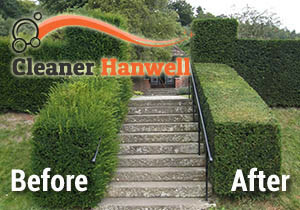 The hedge trimming service we deliver is so popular because of the fantastic end results our gardeners achieve. They work with high quality gardening tools and they would be happy to work under your supervision and create beautiful shapes out of the outgrown hedges. The right trimming technique is essential for achieving the desired results, so if you want to make sure that nothing would go wrong, entrust professionals to do the job for you and enjoy the beautiful forms they create. Apart from the purely aesthetic aspect, regular hedge trimming promotes growth and ensures your plants are in a good condition. No matter if you book a hedge trimming or any other gardening procedure, you might rest assured you will get the most reasonable prices, but a compromise with the quality will never be made. What is more, the waste will be carefully disposed once the hedge trimming service is delivered. As already mentioned, we operate in W7 London every day. You can arrange us even during the bank holidays. We always have a team of experts at your disposal, so don’t hesitate to contact us now and get some additional information. Our operators will lead you through the booking process and make sure you book the most convenient for you slot.